The Commercial Hotel is the only buiding still left in this 1950s look at Dale Street End, apart from Ossett Parish Church and part of Woodbine Street beyond. The telephone kiosk was located immediately in front of Mitchell's house and it was where the infamous Ossett policeman, Sergeant Godwin used to stand when meeting with the local beat constable. The little white cottage on the left of the picture was located at the entrance to a motor trader's premises. 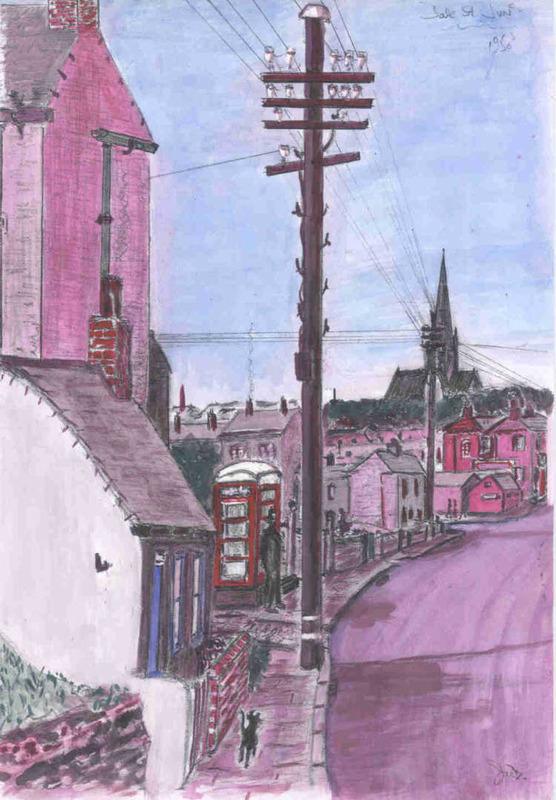 Between the telegraph pole and the telephone kiosk was the entrance to Jackson's transport.